We supply a range of innovative steel water pumps, oil pumps, marine pumps and related products. Our pumps are assembled in Italy from entirely EU sourced components. Each pump is individually tested during production so that each SteelPumps product meets the high standards you would expect of an Italian made pump. A quick guide to our range of SteelPumps and their applications. To find, for example, the SteelPumps most suitable for irrigation, in the search below select “Application” from the dropdown list then type “irrigation” in the blank field and click on “Search”. Or download/view our printable SteelPumps Applications and Features Matrix. 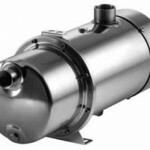 We have a wide range of clean water centrifugal pumps that can cover many different applications from garden to commercial use. Vertical and Horizontal pumps, multistage and single stage. 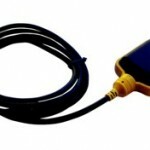 From low volt pumps to low pressure pumps, marine (salt water) to oil. We have SteelPumps to suit your specific situation and requirements. 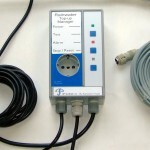 Our extensive range of electronic control panels provide you with the control over your water system that you need. Whether it is controlling multiple pumps from a single control panel to maintaining and monitoring the level of water in storage tanks with automatic top up. Our pressure boosting sets supply water under pressure to single or multiple points of use. 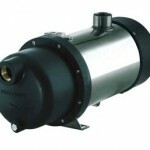 Our compact pressure boosters are available in variable or fixed speed options. Both are quiet and reliable solutions for domestic and light commercial pressure boosting. From carrying handles to filters and float switches, we stock all of the accessories you might need for your rainwater harvesting or water system. 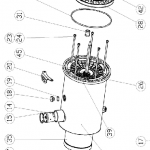 We stock all of the possible spare parts for your SteelPump and water system. Disassembly of the entire pump is straightforward using basic tools, and ALL parts, including nuts and bolts, are available to order individually. SteelPumps are designed to be servicable long into the future with common service components located behind an easy to remove electrical cover. 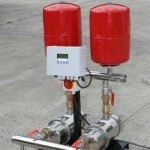 The capacitor, pressure switch, flow sensor and control unit are all easily accessed.